The upcoming election is important to us, but even more important to our students. Decisions made by those officials who will be elected November 4th will affect the future of the country that our students will inherit. Our goal is to increase student participation in the electoral process. Studies show that we can increase voting substantially with a simple question: Merely asking students if they will be voting increases turnout, by getting their commitment to vote. After you sign up, you will find a suggested script that is designed to encourage voting. This should take less than 5 minutes of class time. We will also send you no more than two reminder emails and ask you, after election day, how things went. That’s all. Please help spread the word by forwarding this message to colleagues who also teach voter-age populations. With your help, we can make Teachers4Turnout a national success, and help our students vote. 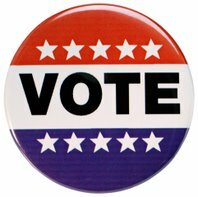 Those interested in the latest behavioral research on increasing voter turnout might wish to read Nudging turnout: Mere measurement and implementation planning of intentions to vote by the international team of Dan Goldstein (London), Kosuke Imai (Princeton), Anja Göritz (Würzburg), and the Peter Gollwitzer (NYU). I think we should make a meta decision here. Should we be encouraging students (and people in general) to vote? We should only be encouraging a person to vote if we believe that them voting will on average increase the quality of behavior from politicians (both in the politicians elected and what the politicians do to stay in office). I think should urge people think rationally about whether they should vote or not; whether their voting will increase the quality of government. Teachers 4 Turnout was written on October 17, 2008 and filed in Articles,Programs,Research News,Tools.